It’s important to know the septic regulations in your area before you buy a house with a septic tank and leach field. If you currently live in a house with a septic system, then you should remain up to date on the state and county regulations. In this blog, we will cover the septic regulations for the state of the Colorado. This will help you determine how your septic system should be installed and maintained according to your location. We’ll also explain the licensing process so you can better understand how a septic system professional becomes certified. If you determine that your home needs a septic system, then you should work with an experienced and licensed professional. A certified septic system engineer will inspect and measure the area where the system will be placed, test the soil and design the system. Once the design of your system is complete, the homeowner will need to submit an application to the county health department, the prices of which vary from county to county. Then after the application is approved and the septic system is built, someone from the county will come to inspect the system. They will need to ensure the system is properly installed before the homeowner can use it. The current septic system regulations are overseen by the State of Colorado Department of Public Health and Environment. The regulations require that every homeowner must consult and work with a licensed septic professional for the design and installation of their system. It’s important to work with an expert to ensure the system is properly installed and reduce the risk of system failures or other issues down the road. You will have to use a licensed professional for your septic system installation and services. Every septic system installer in Colorado must be licensed in the county where they offer services. For ongoing maintenance of the system, your septic pumper should also be licensed in the same county. 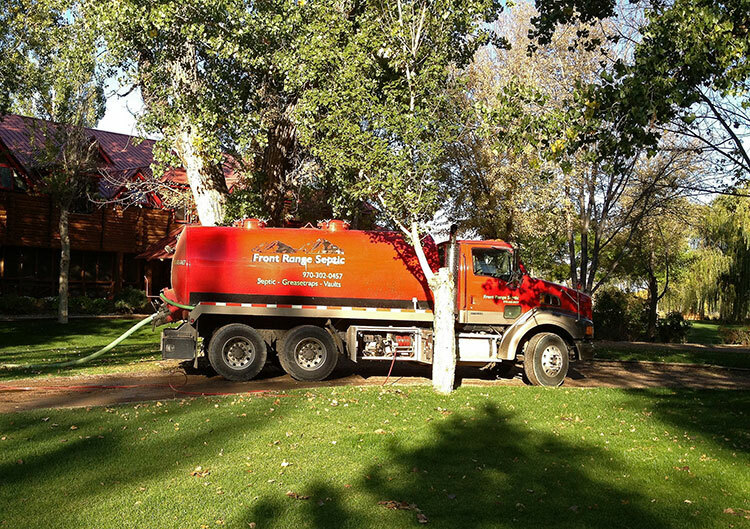 Front Range Septic offers the best septic services in Northern Colorado. We can design, install, repair and maintain your septic system. Our main goal is to provide you with timely and professional services, no matter what. Plus we offer 24/7 emergency services to make sure you’re covered in your time of need. Give Front Range Septic a call at 970-302-0457 to schedule your appointment.